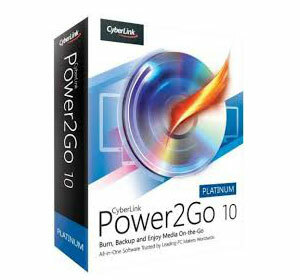 Power2Go 10 delivers end-to-end functionality for all burning, backup and conversion needs. Incorporating advanced disc burning with military-grade encryption, Power2Go also provides advanced media conversion for music and video files, covering the broadest range of device and media player profiles. With Facebook, Flickr, YouTube & Vimeo integration, you can effortlessly download, convert, and back up your social media content, or your most treasured videos. This suite includes burners for data and photo galleries (CD, DVD, Blu-ray), video (VCD, DVD disc, DVD folder) along with music (audio, WMA or MP3 CD, WMA or MP3 DVD, CUE audio disc). It also contains a media downloading feature, disc copier, media converter, and various handy utilities. Less experienced users should be able to quickly figure out how to work with it. Compared to the previous edition, the freshly released edition of CyberLink Power2Go Platinum brings several new features to the table, such as the ability to prepare videos, audio and audio CDs for mobile devices, as well as to rip audio CDs to AAC (.M4A) format. The software application adopts a clear-cut interface with a simplified look that doesn’t include any cluttered elements, thus allowing you to easily discover its features. All primary components are organized into separate categories, and although it doesn’t include a welcoming tutorial, the program lets you start with any type of task. It is compatible with Windows 8/8.1, Windows 7 and Vista (XP is not supported). With this app suite you can burn data, photo galleries, music, movies, DVD folders and OS recovery discs, along with mixed discs (e.g. data and music). It offers support for CDs, DVDs and Blu-ray discs. The program is also capable of downloading media from YouTube, Facebook, Flickr and Vimeo, converting media to various formats and transferring it to mobile devices, encrypting disc data (128-bit or 256-bit), ripping audio CDs, erasing rewritable discs, copying discs, as well as saving, mounting and burning disc images. It has its own image burner, and it can run simulations and verify data after burning. When it comes to importing files, it offers support for popular types of audio (WAV, FLAC, APE, WMA, MP3, M4A) as well as video (MKV H.264, FLV H.264, AVI, MPEG, MPEG-2, MOV H.264, WMV, MP4 H.264, DVR-MS, TS H.264, MPG, ASF, M2T H.264, M2TS H.264, MTS H.264), VOB, VRO, MOD, DAT, TOD, WTV single channel, videos with Dolby Digital 5.1 audio soundtracks). As far as supported file types for exporting are concerned, the program is able to produce FLAC, APE, WMA, MP3, M4A AAC and Dolby Digital stereo for audio, along with MP4 AVC-H.264 and WMV for video. We tested the program on an Intel Core i5-3470 @ CPU 3.20GHz with 12GB RAM and TSST corp DVD+-RW SH-216BB (Samsung) on Windows 8.1 Pro, in order to test burning speed. We submitted the test 12 tracks with an accumulated time of 43 minutes and 44 seconds for creating an audio CD, and selected the lowest writing speed available (16x). The task was over in 3 minutes and 18 seconds. CPU and RAM consumption was normal. 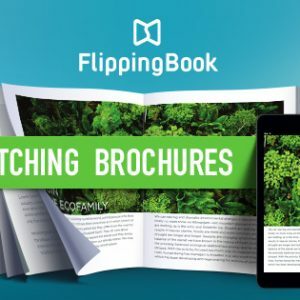 FlippingBook is conceptually made for those who value professional appearance and comfortable reading. FlippingBook's key targets are to make our clients' publications look perfect on any desktop or mobile device and to deliver the content as fast as possible. With AquaSoft SlideShow Ultimate, you can create professional slide shows any way you want. 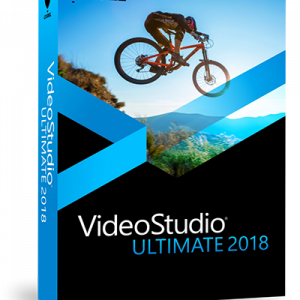 Rotate pictures, collages, particles, and texts, set stunning transitions and zoom effects, animate using camera pans and movement paths. Choose from hundreds of customizable drag&drop effects or create your own. Use the integrated maps and the animated routes to show where you have been and how you got there. AquaSoft SlideShow has all the export options you'll ever need. Burn your show to DVD, an AVCHD disc or a Blu-ray disc or copy it as an HD-Video to an external storage drive, media player, video console, or other device. Play it directly from your Notebook or PC, or upload it to YouTube, Facebook, or Vimeo. Don't worry. You decide what you need – AquaSoft SlideShow delivers.